Bitcoin prices rise over 5% to trade past $11,000 on Saturday. For past few days, the prices of world's most popular cryptocurrency have been under intense pressure. The prices were trading around $10,000 to $11,000 for past few days on the BitStamp. The past day's highest and lowest figures are $11,428 and $10,350, respectively. It is noteworthy that the bitcoin prices on January 6 traded above $17,000 (50% higher than the price of digital currency on Saturday). 1. At 8.05 pm, bitcoin prices traded at $11,008 on the Luxembourg-based BitStamp. The average of bitcoin prices at cryptocurrency exchanges worldwide is $11,271. 2. A week ago, the bitcoin prices were $12,776 (13% higher than Saturday's price). Two weeks ago, the bitcoin prices were $14,198 (25% higher) and exactly three weeks ago, the cryptocurrency prices on BitStamp were $17,150, 50% higher. 3. In the Indian cryptocurrency exchanges, the prices trade lower than Rs 8 lakh. 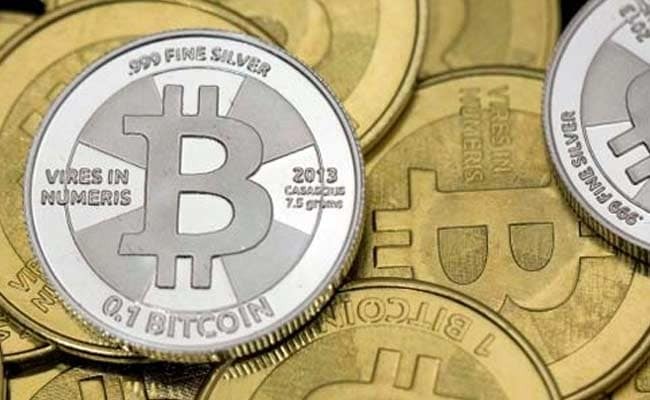 On Coinsecurem for instance, the bitcoin can be bought for Rs 7.99 lakh while the selling price is Rs 7.87 lakh. Exactly a week ago, the bitcoin price in India was Rs 9.73 lakh on Unocoin. 4. One of the latest triggers for the fall in bitcoin prices was South Korea's proposed plan to ban the use of anonymous bank accounts in bitcoins (and other cryptocurrencies) trading from January 30, the regulators said on Tuesday in a widely telegraphed move designed to stop virtual coins from being used for money laundering and other crimes, reported Reuters. 5. On Saturday, other cryptocurrencies also soared. Ethereum rose 6%, ripple surged 3%, cardano 6%, stellar 9%, Litecoin 5.89%, and Neo 7.25%.